Darrell is a Professor in the School of Earth and Sustainability at NAU and is the PI of the project. He has been studying the Quaternary geology of Alaska for more than 30 years, and has been coring lakes there for more than two decades. He has a special interest in geochronology and in facilitating large collaborative science synthesis projects. Ellie is a PhD student in School of Earth and Sustainability at NAU. Her doctoral research involves analyzing changes in oxygen isotopes in diatoms found in lake sediments to reconstruct Holocene changes in hydrological conditions in both the Kenai lowlands and the northeastern Brooks Range. Prior to beginning her graduate work at NAU, Ellie worked at the US Geological Survey in Menlo Park, CA after receiving her B.A. in Geography from UC Berkeley. Annie is a Masters candidate at NAU in Environmental Science & Policy. 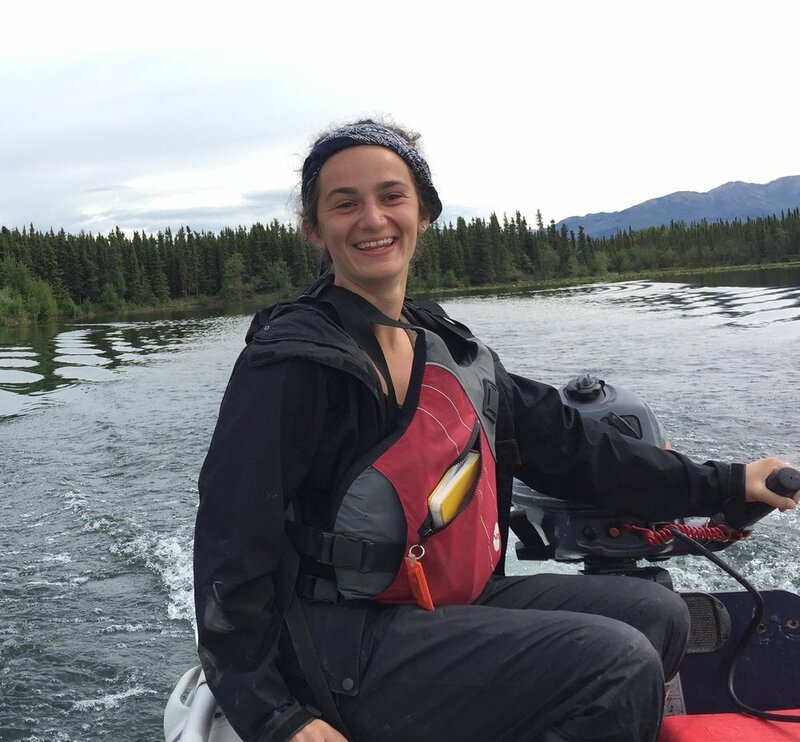 Her Master’s research focuses on determining the timing of glacial sediment deposition across Skilak River’s glacial outwash plain on the Kenai Peninsula in southern Alaska. Prior to her graduate work at NAU, Annie received her B.A. in Biology and Geology from Mount Holyoke College. After obtaining his PhD in Physical Geography at Queen’s University (Kingston, Ontario), David worked at the Institut National de la Recherche Scientifique in Québec City and then as a Postdoc and Research Associate at the School of Earth and Sustainability at Northern Arizona University. Since 2017, David has worked as a Senior Environmental Scientist at Wicehtowak Limnos Consulting Serves Ltd., a Regina-based environmental consulting firm owned by George Gordon First Nation. Britta is an Assistant Professor in the Department of Earth and Atmospheric Sciences at the University of Alberta in Edmonton. Her research focus has been in Quaternary geology, with a particular interest in the loess deposits and tephrochronology of Alaska and the Yukon. More recent research directions include using lake and marine records to improve late Pleistocene and Holocene eruption records in Alaska to aid distal tephra correlations and test ideas about potential links between climatic events and eruption frequency. Ed Berg, PhD, is a retired USFWS Ecologist whose research has focused on large-scale disturbance agents, such as fire and spruce bark beetles, and on the ecological effects of climate change on the Kenai Peninsula. He teaches geology at the Kenai Peninsula College in Homer, where he lives with his wife Sara and is presently writing a book on the landscape history of the western Kenai Peninsula. Al is Professor of Geology at Mount Holyoke College and is a collaborator on the project. He has worked in Alaska and in the high Arctic for the last 40 years on a variety of glacial history and lake coring projects. He Co-directed the Svalbard-REU program from 2004 to 2014. Nick is an Assistant Professor at the School of Earth and Sustainability at NAU. He uses process models to improve paleoclimate reconstructions and uncertainty quantification. He has studied sedimentation processes and paleoclimate records from several Alaskan lakes. He will assist with establishing the geochronology for lake sediment cores for the South Alaska Lakes project. Emmy will be graduating from Mount Holyoke College in 2019 with a B.A. in Geology. Her primary interests lie in the fields of paleoclimate and glacial geomorphology, and she is excited to pursue and explore these interests in a graduate program after Mount Holyoke. Abby is a student at Mount Holyoke College and will be graduating in 2020 with a BA in Geology. Her main interests include volcanology and Arctic geomorphology, but she is passionate about all areas of geology.